A carpet is a very important property of every room. Keeping the carpet clean represents a very important part of making the room clean. Carpets are known to collect liquids, dust and any other impurities in the air. 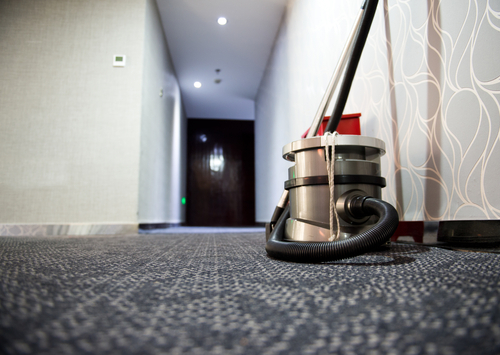 Since carpets get dirty easily, carpet cleaning should be a routine activity in every premises. A dirty carpet will not only lead to a short lifespan but also lead to insect invasion in the house and also an allergic reaction of the people living in the house. Cleaning your carpet can be simple and sometimes complicated depending on what you are cleaning. Some carpet cleaning does not require hiring a professional company as can easily be done by the owner. All the person needs is the right vacuum cleaner, a cleaning product and some know how on cleaning the carpet. 1. Always make sure you clean your carpet immediately it is stained. The longer it takes to clean the stain the harder it will be to remove it. 2. Always use cleaning detergents that are approved for carpet cleaning. Any other product in the market might damage the carpet. 3. 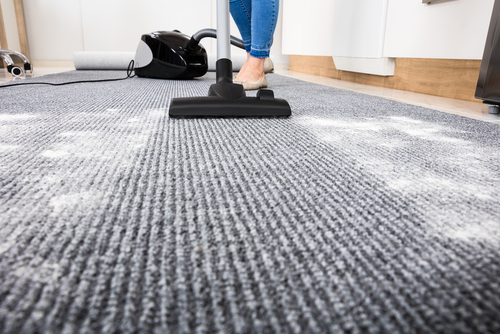 Try and vacuum your carpet regularly to prevent dust and soil from embedding itself completely. 4. Consider professional cleaning at least once every year. A dusty carpet can be a very big source of indoor pollutants. These include lead, cockroach allergens, particle pollution, dust and several other forms of dirt. Toxic gasses can also be trapped in the carpet. The toxic gasses can easily be released posing danger to the occupants of the premises. Some areas in Singapore have a lot of humidity which can make the carpet grow mold if regular cleaning is not done. Moisture trapped in the house can sometimes sink deep in the carpet which can lead to mold growth if not cleaned immediately. Mold is a big health risk to every occupant of the premises if not cleaned in time. Dust mite can be in the house without yourself noticing. As much as they are not allergens themselves, the feces they leave behind and their body fragments are. 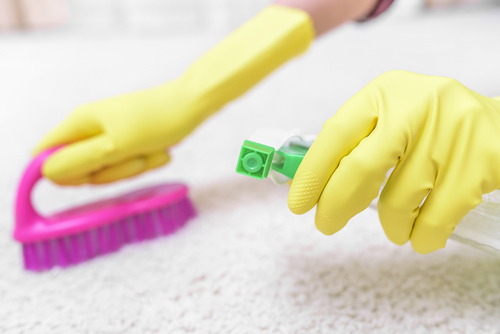 These small particles can easily be inhaled when there is a disturbance on the carpet. Steam cleaning the carpet exposes the carpet to a very high temperature which the dust mite are unable to survive on. There are different carpet cleaning methods that professionals use in cleaning carpets. There are many factors that influence the method to be used in cleaning. Some of the factors which affect the method used are cost, environment condition, the type of carpet fiber and the degree of soiling. This is a common method of cleaning which is also known as hot water extraction. The hot water is heated to the boiling point then injected into the carpet under high pressure. The hot water injected loosens the dirt making it easier for the cleaning machine to draw bath the dirt and the water away. This method is very effective in remove any odor and killing any dust mites that might be on the carpet. This method uses no water. The dust trapped on the carpet is pulled out by the vacuum cleaner. This method is popular as it dries carpet very fast compared to the other methods. In this method of cleaning, a foamy chemical is sprinkled on the carpet and motorized by a brush through a circular motion. The method is very effective for carpets that are heavily soiled. Carpets must thoroughly be vacuum cleaned to remove the soils and later dried well. Steam cleaning is more effective compared to carpet shampooing. There are several companies in Singapore offering carpet cleaning services. For a person thinking of hiring a professional company to do his/her carpet cleaning, it is important to consider a number of factors before settling down on a particular company. Getting the right company might be the difference between getting your carpet well cleaned or getting a poor job that can easily shorten the lifespan of your carpet. Knowing the reputation of the company is very important as this will give you an idea of the past jobs the company has done. You will be able to know whether the company has done the kind of service you are looking for in the past. Reputation gives you the confidence that you are choosing the right company. As much as it should not be the major factor, pricing is very important as it will determine whether the company falls within your budget. It is also important to get a company that will give you a fair price at the same time do a good job. Balancing the two must be done to avoid going for a company which will do poor work at a low cost. Go for a company that is well equipped with the modern technology to clean your carpet effectively. Carpet cleaning can sometimes be very complicated if a company does not have the right equipment. The right equipment must also be accompanied by professional staff who are able to handle customers and their work in the most professional way as possible. Always hire a company that is registered to do your work. A registered company will always offer insurance to the owner of the company if something goes wrong during cleaning. Make sure the company is well registered and certified to do cleaning services. Choose a company that is reliable in their cleaning service. The company should always be available whenever you need their services and give you the outcome you expect every time they clean your carpet. In conclusion, proper carpet cleaning is the most important part of taking care of your carpet. It is always important for the cleaning to be done with either a professional or with a person who is very much conversant with carpet cleaning.